For those of you who have your mobile app configured to pull content from your Facebook Page into the Buzz area of your app, you may have noticed that your Facebook posts have not been appearing in your app. Earlier this summer, Facebook made a major change to how they feed content to other web services by switching from RSS / XML code to JSON. Correspondingly, the RSS / XML feed link you entered into the Buzz area of the mobile suite is no longer active. 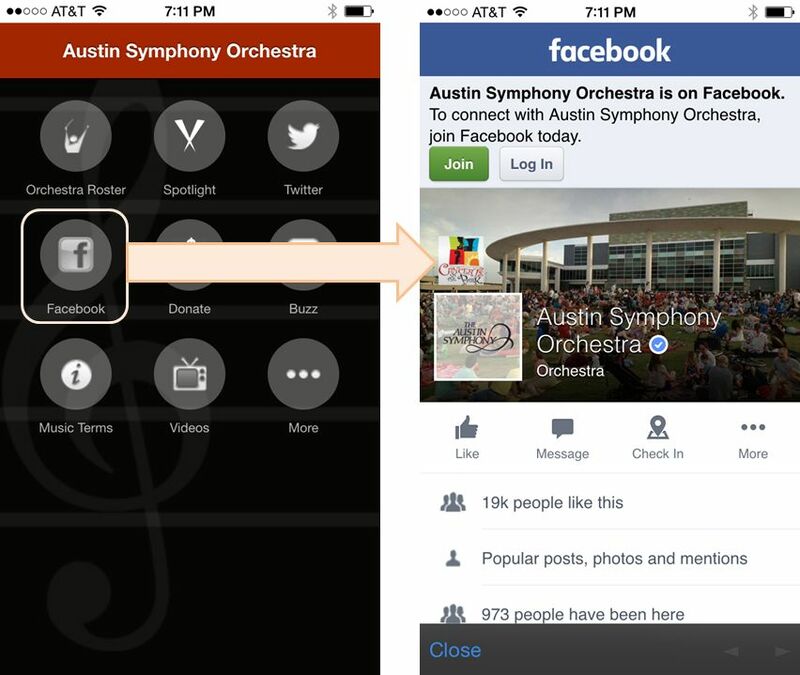 The infrastructure for the Buzz area currently relies on RSS / XML code to import content from social media and other sites, so incorporating your Facebook content into the Buzz section of your app is not possible at this time. While we explore our options for reintegrating the Buzz tab with Facebook, we suggest creating a custom tab in your mobile app linked directly to your Facebook page. From the InstantEncore dashboard, go to Mobile >> Tabs. Select the icon to associate with the new tab. We have included a commonly recognized Facebook icon in our library for you to use, if you like. In the URL box, enter http://m.facebook.com/YourFacebookPageName. 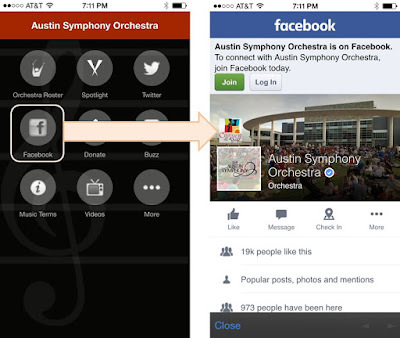 Your Facebook Page will now appear as a tab within your mobile app. It’s that easy!